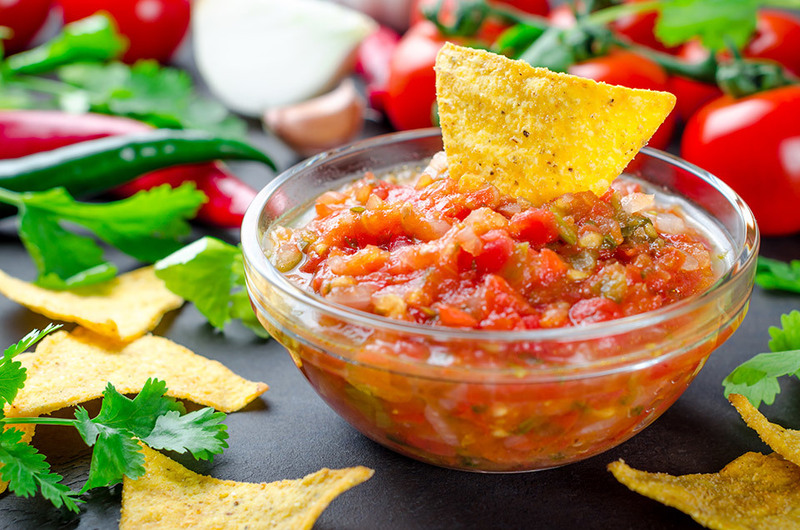 When you’re in the mood for a homemade salsa, this restaurant-style recipe will do the trick! Fresh lime juice, garlic, cilantro, and jalapeño bring loads of flavor, while a can of Rotel is key to achieving the perfect consistency. Combine ingredients in a food processor. Mix to desired consistency. Refrigerate for at least 1 hour prior to serving.